INSTALL invites contractors, instructors, manufacturers and the media to observe the prototype certification of its newest flooring certification – surface preparation. 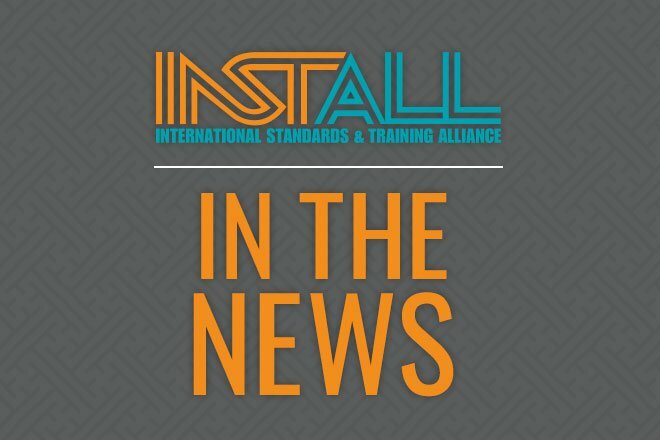 This new program was created to address the significant need in the floorcovering industry to raise awareness and aptitude of substrate needs for successful installations. Substrate awareness is part of every installation and this certification already has great implications in our daily success. This rigorous evaluation includes a 100-question written test, profiling, moisture and alkalinity measuring and mitigation, ramping, self-leveling, skim coating, mixing and cleaning expertise. Please join us to observe the prototype certification on June 21, 10 am – 2 pm hosted at the Southeast Wisconsin Carpentry Training Center, Joe Weisling Training Coordinator, N25 W23055 Paul Rd., Pewaukee, WI 53072. To attend, please contact Joelle Hunter at 262-574-6995, JoelleH@sewctc.org.